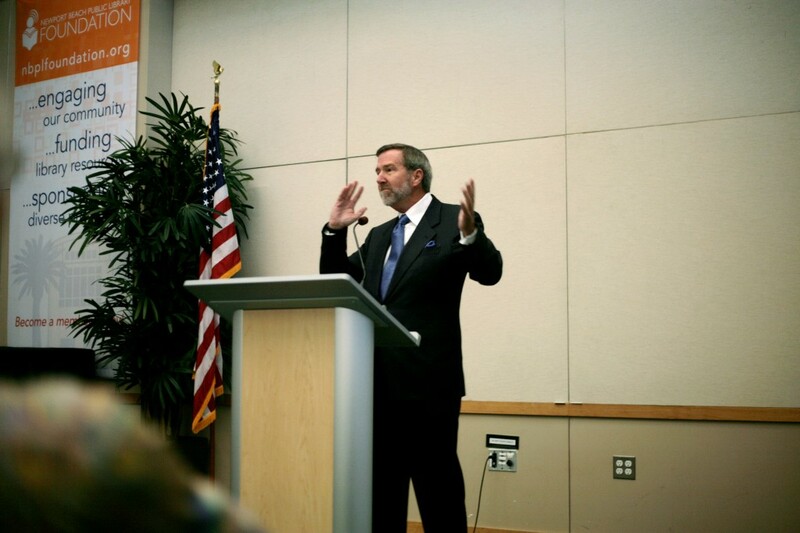 Congressman John Campbell speaks at the Newport Beach Chamber of Commerce’s Wake Up! Newport meeting on Thursday morning. More than 60 Newport Beach residents spent an early morning with Congressman John Campbell this week. The NB Chamber of Commerce’s monthly Wake Up! 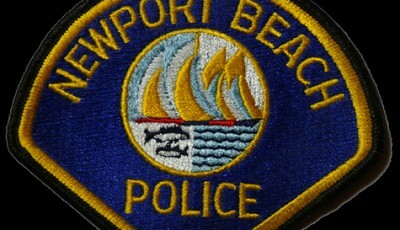 Newport meeting was held early Thursday in the Friend’s Room at the library. Campbell was November’s special guest speaker. He represents the 45th Congressional District in California, which covers Irvine, Tustin, Laguna Woods, Laguna Hills, Lake Forest, Villa Park, Mission Viejo, Rancho Santa Margarita, and parts of Orange and Anaheim. He spoke about the recent election results and its impact on the nation, future domestic policy trends, the U.S. role on the world stage and a brief history of his decade in Congress. Campbell mentioned possible future Republican presidential candidates, leadership, the division between the parties, and President Barack Obama’s speech on Wednesday. He tied in talking about what it means to be a leader with some of his top picks for presidential candidates in 2006. “A leader decides where we ought to go,” Campbell said. Speaker of the House John Boehner is more of a manager, he said, rather than a leader. Although it seems that Boehner is going to try and step up and be a leader. Mitch McConnell is a “lion of the Senate” and those people also tend to be managers and not leaders, he said, but it is possible. He spoke a lot about U.S. Representative and former vice presidential candidate Paul Ryan, his personal favorite pick. “He’s the best amongst us,” Campbell said. He also mentioned Jeb Bush, Mitt Romney, Joe Biden, Wisconsin Governor Scott Walker, Louisiana Governor Bobby Jindal and Ohio Governor John Kasich. “It’s a very open year and a very unusual year,” Campbell said. Campbell also talked about working on issues with both political parties. It’s going to take great leadership to break that, Campbell said. Leadership that he has not seen in Obama, who has been difficult to make deals with, Campbell said. Campbell also mentioned Obama’s speech on Wednesday, which followed an election day that saw the Republicans take over majority in the Senate. A Wake Up! audience member asked about Obama’s pledge to take executive action if an immigration bill was not passed by the end of the year. If he does do it, there will grave consequences, Campbell said. He paraphrased a political TV news anchor that said it would be like a throwing a live grenade into the Republican caucus room and shutting the door. “People will be pissed,” Campbell said. If Obama doesn’t give the new Congress time to work on it and pulls the trigger on an executive order, the next two years will be difficult and not very productive. “He will have poisoned that well,” Campbell said.